The Logitech G303 Daedalus Apex is Logitech’s newest mouse designed for FPS gamers and the performance enthusiast. Designed to have a fast click response, an unrivalled sense or and comfortable design, how does the G303 stand up to its rivals? The G303 click response is certainly…responsive. Like, really responsive. The spring loaded tension system in the buttons means no unnecessary movement for the buttons so not a millisecond is wasted, it’s like Logitech have designed a mechanical mouse, and I’m okay with this. The spring tension buttons are one of those things that you don’t realise you wanted until you try them for the first time, the fact the mouse is wasting no time makes you feel like your reactions are faster, but in reality the mouse is finally keeping up with you. 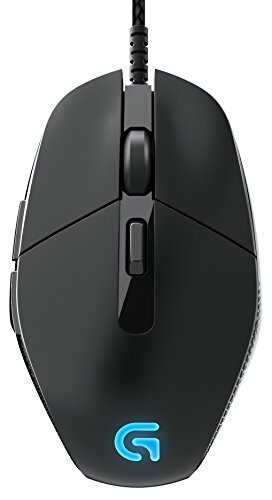 Logitech have always been known for having pretty awesome mouse sensors, and they haven’t dropped the ball yet. The sensor inside the G303 Daedalus Apex is very responsive with no lag or choppy-ness to the movement. The mouse can go up to a mind-blowing 12,000 DPI; why anyone would ever go that high is a mystery to me, but to each their own. 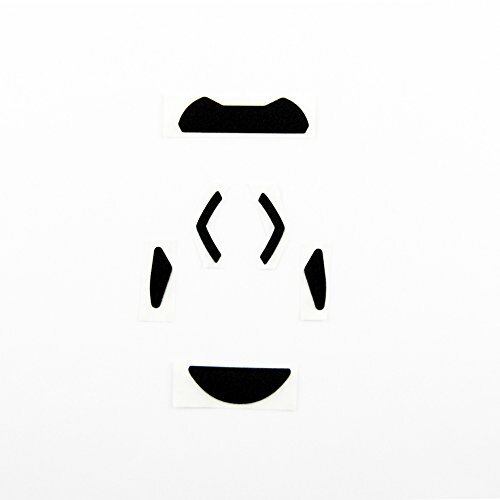 Even at the lower sensitivity that I used, 400 DPI, the mouse still had no issues on a number of different gaming surfaces and maintained its accuracy and responsive tracking regardless of surface. Peripheral companies these days are obsessed with how many extra buttons they can cram onto a mouse. Logitech have seen the light though (all 16.8 million of them) and realised a mouse for FPS gamers doesn’t need every finger to fit into an allocated slot with 3 buttons each to confuse the brain when you’re trying to aim. 6 programmable buttons are on the G303, and if you take away the standard left click, right click, scroll wheel and DPI changer that’s 2 extra buttons. Brilliant, more than enough for an FPS gamer or someone who just wants top performance. I need to run, shoot, jump, crouch and switch weapons, 2 extra buttons are more than enough thank you. Sixteen point eight million is a big number, it’s one of those numbers that are really hard to picture, well Logitech try and help with that. The G303 Daedalus Apex has a choice of 16.8 million colours to choose from for the logo and pulsing lights on the side of the mouse. 16.8 million, that’s a lot of colours, do you own 16.8 million of anything? Yes. Colours for your mouse. 16.8 million. 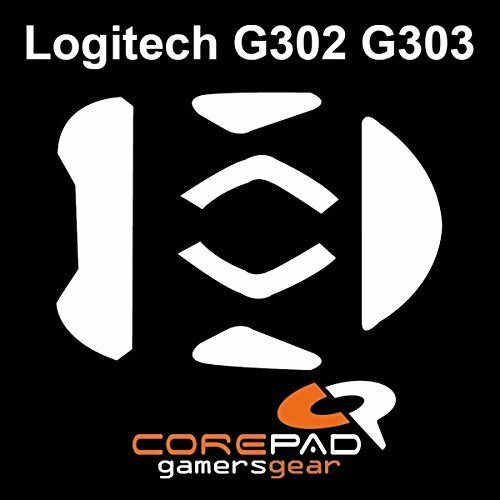 The software support of the G303 is what you’d expect from Logitech by now. DPI changer with changeable DPI levels controlled by the DPI button on the mouse itself. You also get to choose your colours, your brightness, your pulse intensity, the surface you’re using so the sensor can optimise itself. It’s Logitech’s belief in science down to a tee. The Logitech G303 only has one down side, it’s a down side that many males face in the world; pining after an extra inch. Yep, for me the mouse is just a little too small to be 100% comfortable to me. I use a palm grip when gaming meaning my entire hand is on the mouse at all times, but the G303 just doesn’t have the length to accommodate my entire hand. Claw grip users however will find this mouse very comfortable, as will smaller handed users. It’s not mouse breaking, but a Logitech Daedalus Apex G303 XL wouldn’t go a miss (hint, hint Logitech). So all in all the G303 Daedalus Apex mouse is good, very good, in fact it’s pretty fantastic. As a mouse designed for FPS gamers it gives us exactly what we need without all the fluff that other mice do. A great sensor, responsive buttons, 16.8 million colours (yes we DO need this), and a sleek design make this mouse a must have for FPS gamers, especially those who favour the claw grip style. Overall the Logitech G303 Daedalus Apex mouse is top notch and designed for performance junkies. If you have quite big hands though it might be on slightly small side.